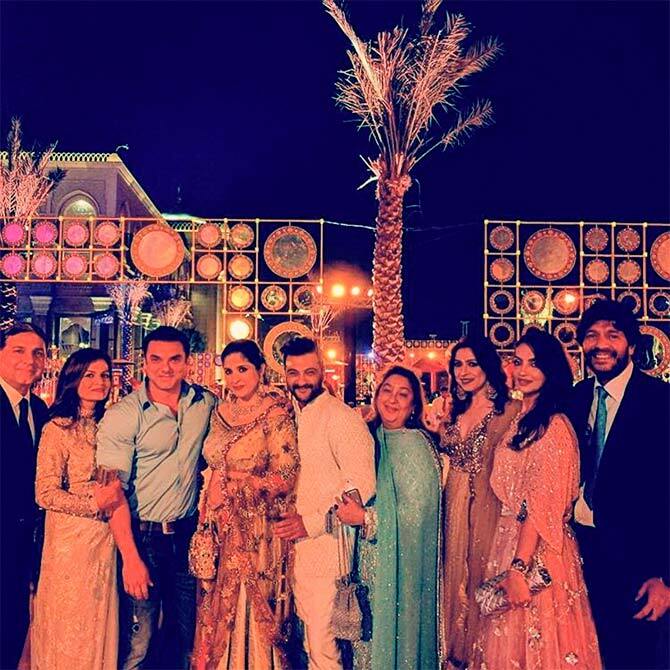 Sonam Kapoor, Arjun Kapoor and all their cousins and relatives are having a blast in Abu Dhabi! 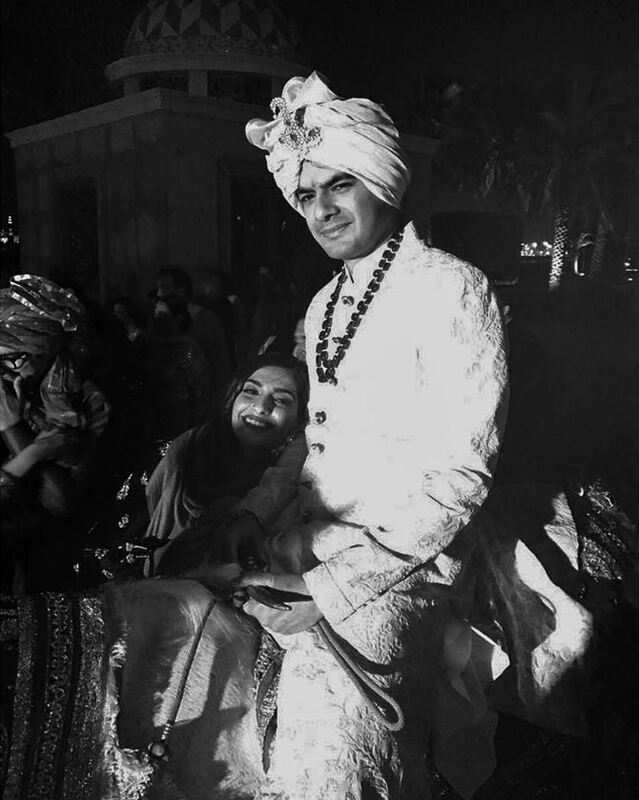 Their cousin Akshay Marwah got married in a grand ceremony, and everyone was at hand to make sure the wedding was a fun-filled one. Akshay is Sandeep and Reena Marwah's son and his brother Mohit made his Bollywood debut with Fugly. 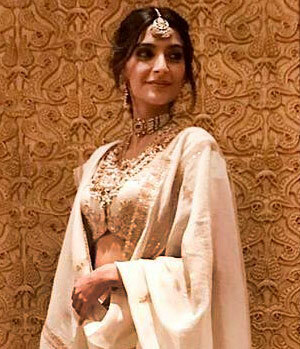 Reena Marwah is Boney, Anil and Sanjay Kapoor's only sister. Let's take a look at the wedding album. 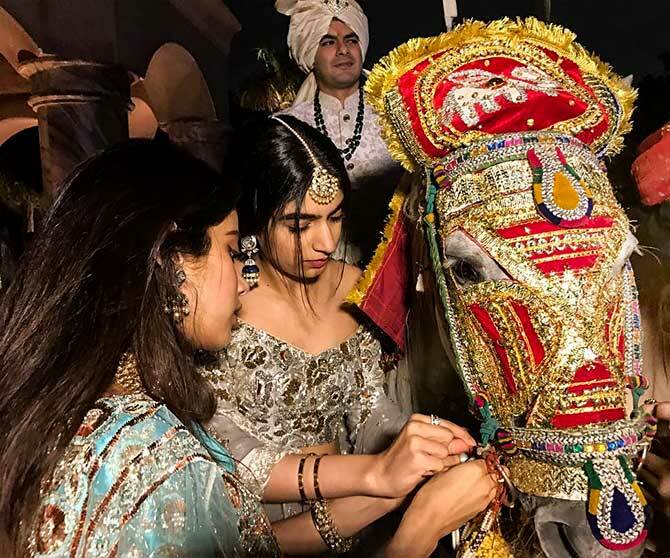 PIX: Sonam, Arjun at a cousin's mehendi. 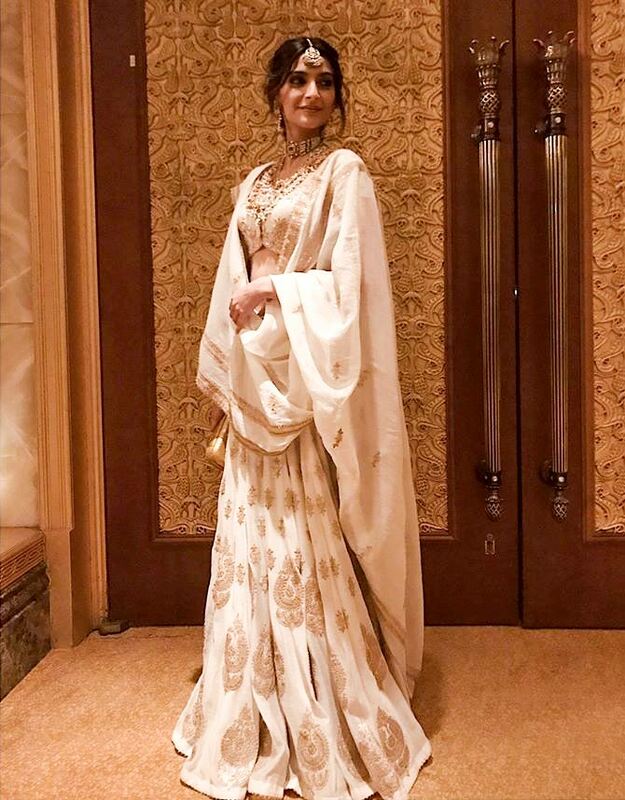 Sonam Kapoor puts on a beautiful white and golden lehenga choli. 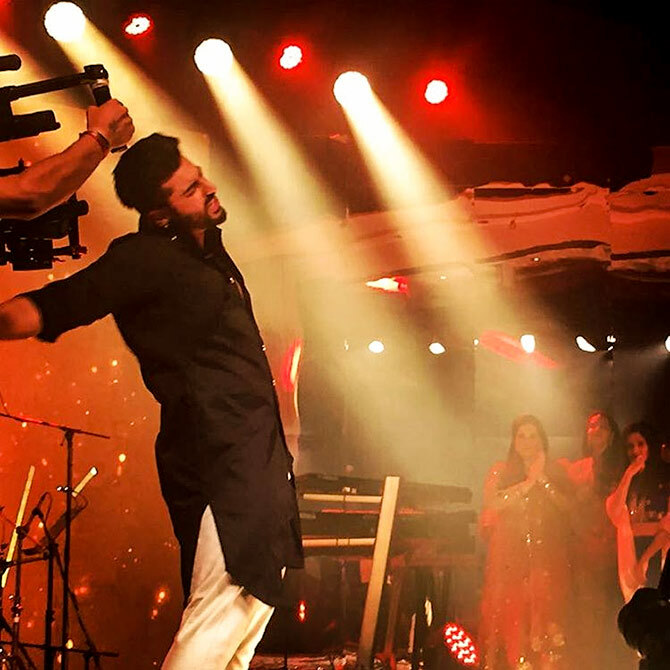 Arjun Kapoor puts up a performance. 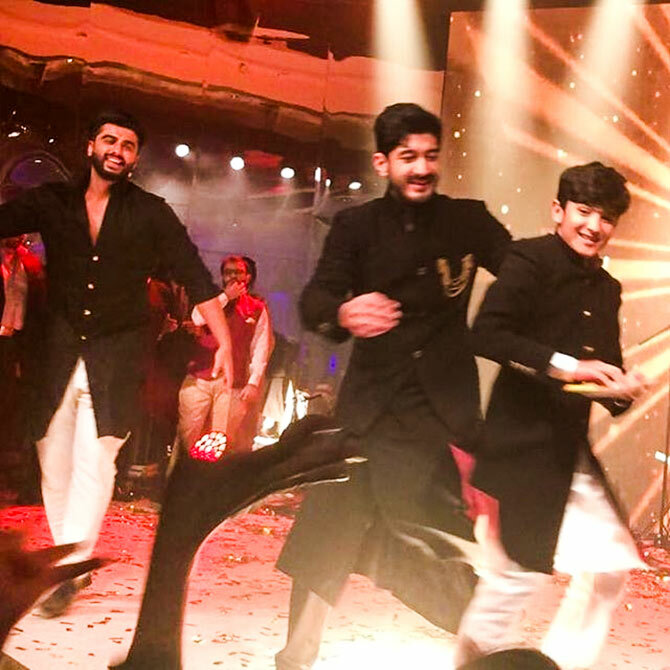 Mohit Marwah and Sanjay Kapoor's son Jahaan join him. 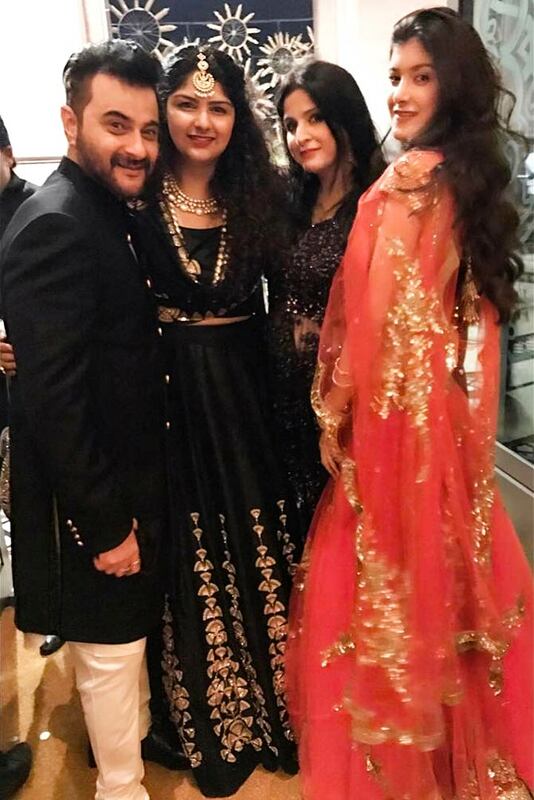 Sanjay Kapoor with his niece Anushula (she's Boney Kapoor's daughter), wife Maheep and daughter Shanaya. Meet the groom and his dulhania Aashita. 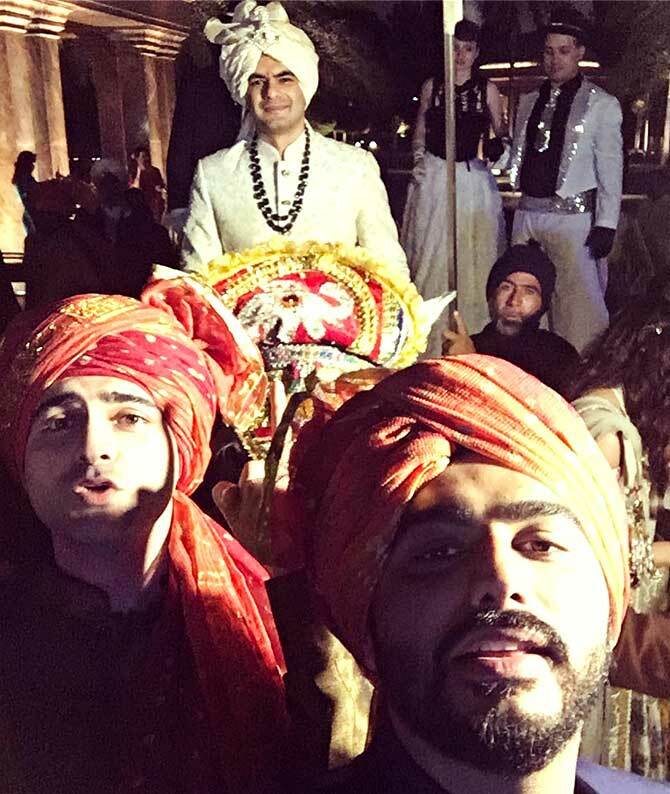 Arjun takes a selfie with brothers Raghav Marwah (next to him) and the groom Akshay. Shanaya and Maheep pose with Chunky Panday's daughter Ananya and Seema Khan. 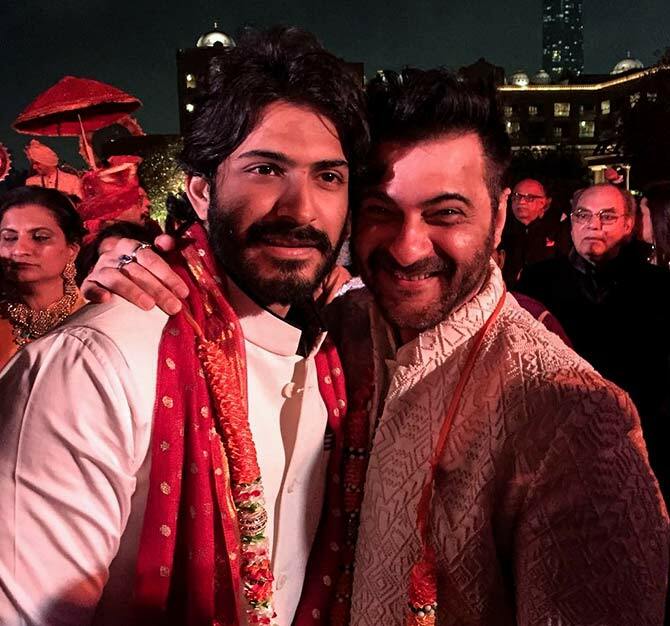 Harshvardhan Kapoor with his chachu. Sridevi's beautiful daughters Jhanvi and Khushi. 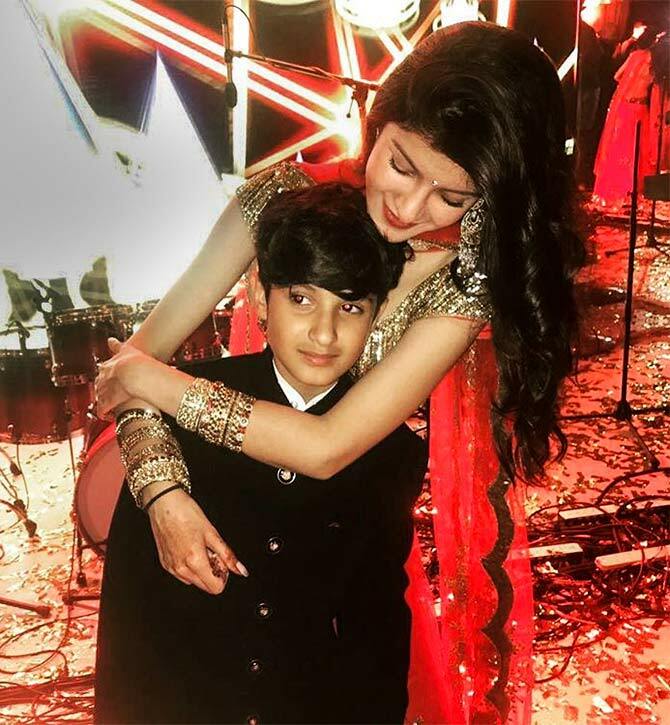 The adorable brother and sister Shanaya and Jahaan. Sanjay with the ladies Reema Jain (in blue), Maheep and Seema. Reema Jain is Raj Kapoor's daughter, and sister to Randhir, Rishi and Rajiv Kapoor. 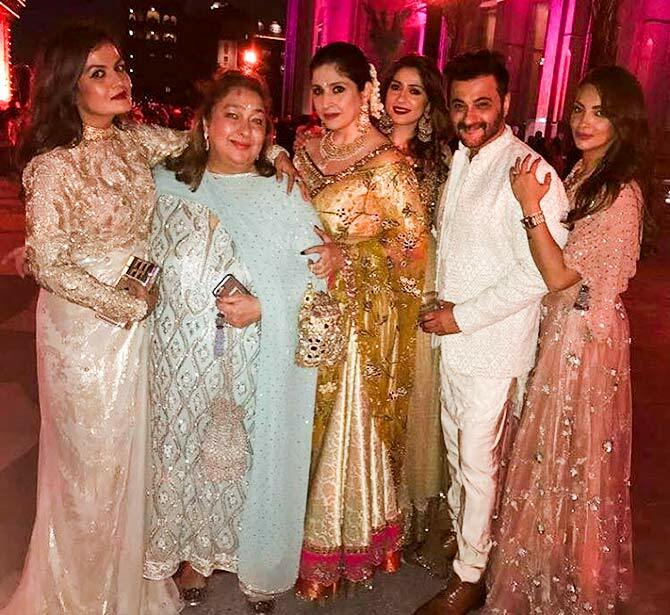 Anup Karnani, Dipti Sandesara, Sohail Khan, Maheep, Sanjay, Reema, Bhavana Pandey, Seema and Chunky Pandey pose for a group picture. 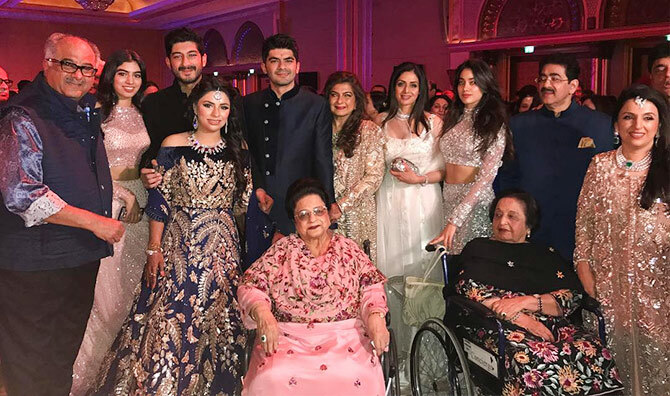 Boney Kapoor, Sridevi, Khushi and Jhanvi pose with the bridal couple. 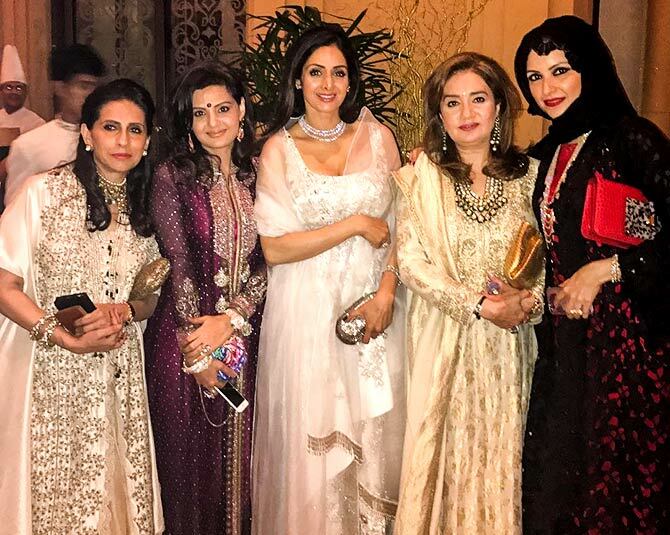 Sridevi with her sister-in-law Sunita (Anil Kapoor's wife) and friends. 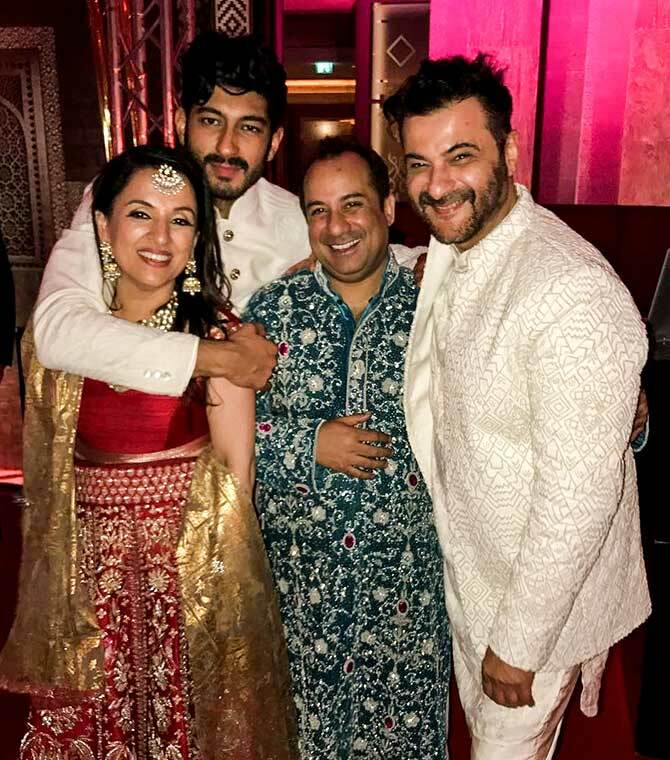 Sanjay and Mohit with Rahat Fateh Ali Khan, who performed at the sangeet. Deepika's favourite colours: BLACK and GOLD!